So says Lorimer Wilson, editor of www.FinancialArticleSummariesToday.com (A site for sore eyes and inquisitive minds) and www.munKNEE.com, (It’s all about Money! ), in an article outlining the historical price correlation between gold and silver and what it means for the future price of silver as the gold bull runs it course. Please note that this complete paragraph, and a link back to the original article*, must be included in any article posting or re-posting to avoid copyright infringement. Precious metal bull markets have 3 distinct demand-driven stages and we are now quickly approaching or perhaps even in the very early part of stage 2 which occurs when the general public around the world starts investing in gold and silver and this deluge of capital into them causes them to escalate dramatically (i.e. go parabolic) in price. Gold went up 24% in 2009 and 30% in 2010 and another 30% increase as of the end of 2011 would result in a year end price of $1,846 (a 35% increase would equate to $1,917!) . There are no shortage of prognosticators who see gold going parabolic like it did in 1979/80 when gold rose 289.3% from Jan. 1, 1979 to its peak on Jan. 21, 1980 (and 128% higher in a late-1979 parabolic blow-off of just under 11 weeks)! During the last parabolic phase for silver in 1979/80 it increased 732.5% in just over one year. Such a percentage increase from the Dec.31, 2010 price of $30.84 per ozt. would represent a future parabolic top price of $256.74 per ozt. – and from the current October 2011 price of approximately $32 per ozt. would equate to a price of $266.40 per ozt.! (For what that might mean for the future price of gold see the analysis below.) Frankly, such prices seem impossible in practical terms but that is what the numbers tell us. How both gold and silver perform, in and of themselves, does not tell the complete picture by a long shot, however. More important is the price relationship – the correlation – of one to the other over time, the gold:silver ratio. Based on silver’s historical correlation r-square with gold of approximately 90 – 95% silver’s daily trading action almost always mirrors, and usually amplifies, underlying moves in gold. With significant increases in the price of gold expected over the next few years even greater increases are anticipated in silver’s price movement in the months and years to come because silver is currently seriously undervalued relative to gold as the following historical relationships attest. Were the same % increases applied to the mid-July 2011 closing prices of gold and silver of approx. $1,600 per ozt. and $40 per ozt. respectively, the resultant prices for gold and silver of $6,228.80 per ozt. and $333.33 per ozt. respectively would equate to a 18.7:1 silver to gold ratio. First let’s use the current ball-park price of $1,650 for gold and apply the various gold:silver ratios mentioned above in approximate terms and see what they do for the potential % increase in, and price of, silver. The above analyses bears closer scrutiny. In paragraph seven above it was noted that “During the last parabolic phase for silver in 1979/80 it increased 732.5% in just over one year. Such a percentage increase from the Dec.31, 2010 price of $30.84 per ozt. would represent a future parabolic top price of $256.74 per ozt.” That price is only slightly higher than the $214.29 per ozt. that would result from a 14:1 gold:silver ratio with gold at $3,000 per ozt. The wealthiest people in the future will be those who put 10% to 15%  (or perhaps more – much more!) 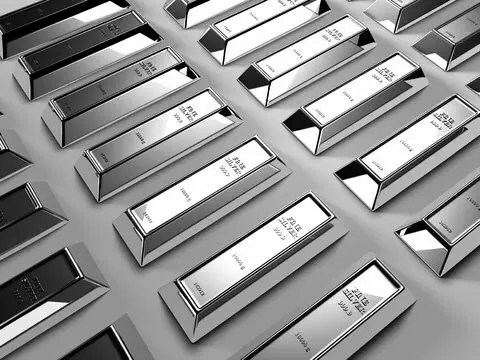 of their portfolio dollars into physical silver today and were smart enough to research and pick the best silver mining/royalty stocks and warrants (see article here ) to leverage/maximize their returns. For those who are not exactly sure how to go about buying long-term warrants go here (5). Indeed, while gold’s meteoric rise still has room to run, silver’s run is only getting started. Certainly, if the historical gold:silver ratios are any indication, it appears evident that now is the time to buy silver with the intent of realizing a 10-fold return. 1. What’s the Difference Between 1 Gold Karat, 1 Diamond Carat and 1 Troy Ounce? 3. What Percentage of Your Portfolio Should Be In Gold Bullion?